Ever since the announcement by the American Heart Association (AHA) there has been quite a bit of focus on low-calorie, reduced-calorie and zero-calorie sweeteners (see the March 3, 2010 post Have Your Cake and Eat It Too!). People all over the country respect the research and guidelines of the American Heart Association, and they are learning that it is not an easy goal to stay under 100 calorie/day for women and 150 for men, for calories from sugar, honey, agave, high fructose corn syrup (HFCS), and other caloric sweeteners. Now the proverbial topping on the cake: new studies link coronary heart disease in women, high blood pressure in men and diabetes in both men and women to simple sugars (see April 14, 2010 post Running toward Whole Grains, Vegetables, Beans and Fruit). This overwhelming evidence makes it tough to react, because these empty calorie-filled sweeteners are often hidden. This makes it increasingly clear that we need to get our Sherlock Holmes magnifying glass out, polish it a bit, and start finding where the sweet ingredients are lurking. We at Dr. Grandma’s had a head start in satisfying the ‘sweet tooth’ before the AHA goal started. We know that not only are we born with a preference for sweetness (which genetically protects us from the bitter, often toxic substances in nature) we can also become accustomed to a sweet habit. We’re very aware that our ‘sweet-seeking’ brain cells are difficult to redirect – it may be especially difficult for children, who have more taste receptors for sweetness than adults. Some parents are very sensitive to offering artificial sweeteners to their children; at the same time they don’t want to fill their growing bodies with the zero nutrient calories of sugar, HFCS and the like. Years ago some of our customers were very concerned about artificial sweeteners; they already realized that they enjoyed sweet additions to their diet, but didn’t want the blood sugar spikes, cavities and high triglycerides. At that time the heart disease and high blood pressure risks were not known. Some of the concerned customers had diabetes or pre-diabetes, but some were just focused on weight and health management. Realizing the strong preference for sweet, we started researching natural sweeteners, without calories that would meet our customer’s needs and our own desires. The result of that work was to develop our sweetener Delight. I wrote a fairly short article about the Sticky Problems with Sweeteners in the May 2009 Dr. Grandma’s Newsletter – it’s still in the archives, if you want to review that article just click the link ‘Sticky Problems …’ above. This article tells eleven reasons, why we at Dr. Grandma’s chose erythritol and fruit extracts to sweeten our products. It’s been a big hit with quite a few people, but there are still some that are concerned about non-caloric sweeteners possibly increasing hunger. Good news! We’ve just discovered some well-designed research to help ease concerns. First is a study that was published in the March 2010 journal Appetite. The conclusion of that research was that low-calorie sweeteners do not increase hunger levels or cause people to eat more food. In addition, they learned that the subjects who received the sugar substitutes consumed significantly fewer calories and there was no difference in hunger levels despite having fewer calories overall. The study was conducted on both healthy and overweight adults. I personally can understand how this may work. One factor in getting full is just a function of the volume consumed. If a serving of a new recipe is the same volume as something that you’re used to eating, and one of the ingredients in the new recipe has no calories, the total number of calories is lower for that menu item – and Voila! You’ve saved some calories. I’ll give you an example. We eat Mountain Top Breakfast, oatmeal, or cracked wheat several times a week. If we sweetened it with sugar, high fructose corn syrup, raw sugar, maple syrup, brown sugar, honey or agave (we used sugar years ago) that would be about 40 - 50 calories more per hot cereal breakfast for Dr. Grandpa, who has type 2 diabetes. He gets just as full consuming the same amount of cereal with our all-natural zero-calorie sweetener, Delight. It doesn’t seem like many calories, but if you think of the number of recipes where we can take the sugar out, it can really add up. If you take 50 calories per day out of your diet, it adds up to maintaining 5 pounds less in a year. So it’s easy to see that these seemingly insignificant intakes of sugar, by whatever name, can become significant. So now with the new research about simple carbohydrates and the link to heart disease, high blood pressure and diabetes, it has become increasingly clear to us, that we should find ways to cut most of the simple sweeteners. Since white flour turns so immediately to glucose, starting in the mouth with your first bite and enters the blood so fast, we also think of white flour products as being about the same as simple sugars. The study published in Appetite and cited above was built upon a 2009 meta-analysis lead by Mattes and Popkin; who evaluated 224 studies and published their findings in the American Journal of Clinical Nutrition. These researchers were concerned with whether or not non-caloric sweeteners led to eating more to make up for the missed calories. Here is what they said: “A critical review of the literature, addressing the mechanisms by which non-nutritive [low-calorie] sweeteners may promote eating more calories, reveals that none are substantiated by the available evidence.” Of all those studies they found nothing that would show that using low-calorie or no-calorie sweeteners increases intake of additional calories – more than the groups that used the caloric sweeteners. More than 194 million Americans are consuming low-calorie and reduced-calorie foods and beverages, according to the Calorie Control Council’s most recent national consumer survey. The Council, a non-profit trade association, has noted that this number will likely continue to rise as more consumers begin to understand that "calories count" for weight loss and weight maintenance. Because so many of the ‘sugar calories’ being consumed are from beverages, researchers are looking long and hard at the sugar (and HFCS)-sweetened beverages as a possible cause of metabolic disorders and obesity. This leads us to recommendations for substituting low calorie and no-calorie sweeteners for sugar (and other caloric sweeteners) as it may be an effective weight management and blood sugar strategy. I’ve said for years that ‘sugar is not poison, it’s just giving you calories without the benefits of any nutrients.’ While I still believe that ‘sugar is not poison,’ I now want to be far more careful and eat sugar and its empty-calorie-filled alternates very sparingly. We’re glad that we have developed Delight, because it offers a way to enjoy sweetened foods without the chemicals of the artificial sweeteners and the calories of sugar, HFCS or the like. 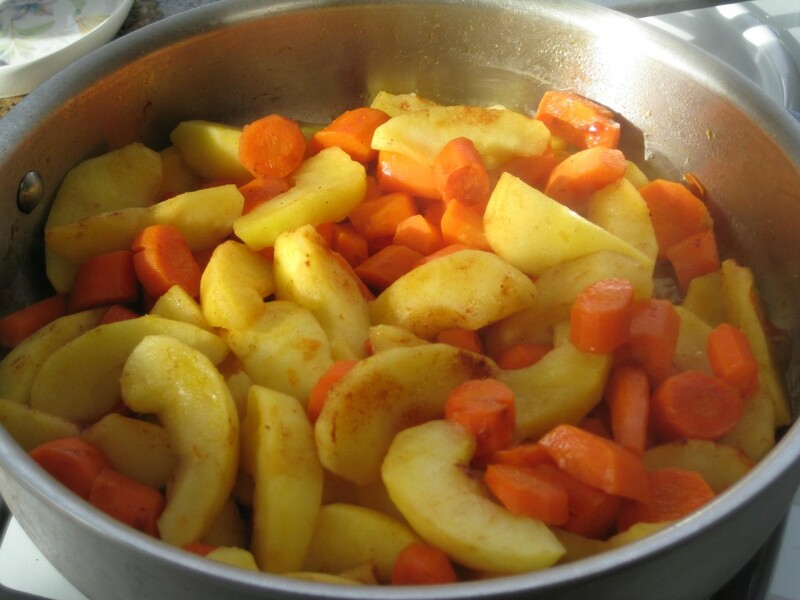 Heat oil and carrots and water, steam in covered skillet for about 5 minutes. 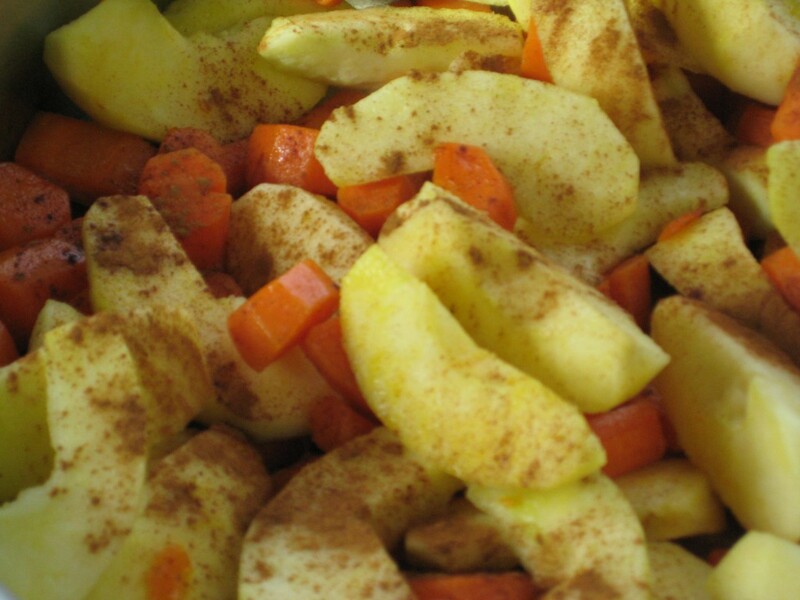 Add the apples, Delight, salt, lemon juice and cinnamon and stir. 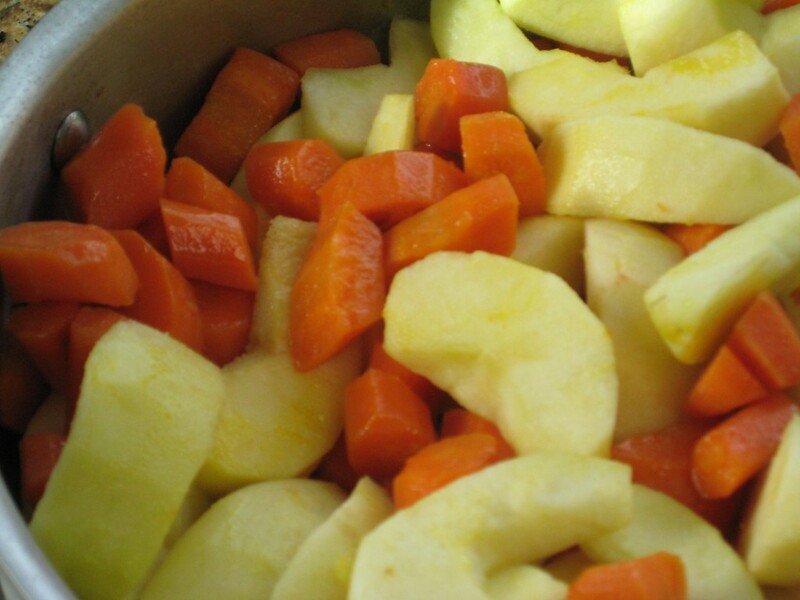 Cover until the carrots and apples are tender, stirring every 6 – 8 minutes to prevent sticking. With the lid off cook off any remaining moisture. 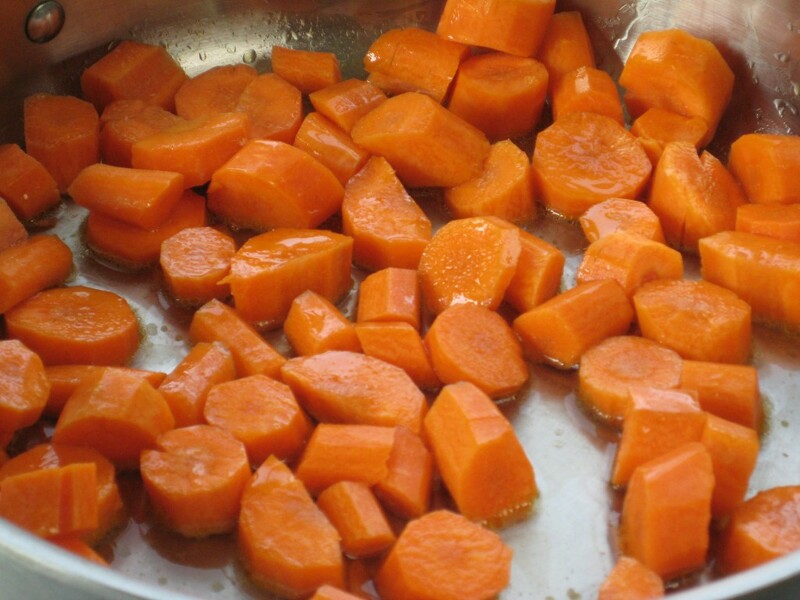 Put the cut carrots in a skillet with the oil and a little water. 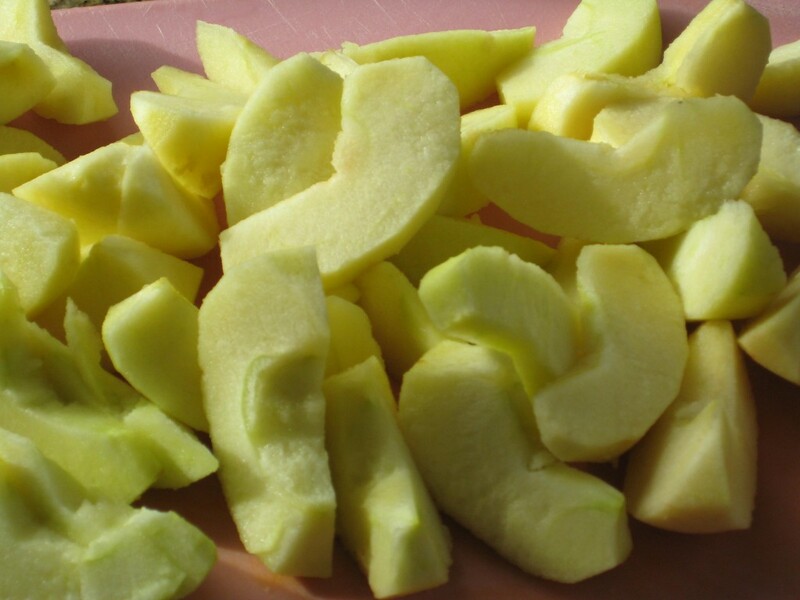 Prepare the apples - I used Braeburn. Add the apples to the carrots. Add the cinnamon, salt, Delight and lemon juice. Continue cooking and stir periodically. 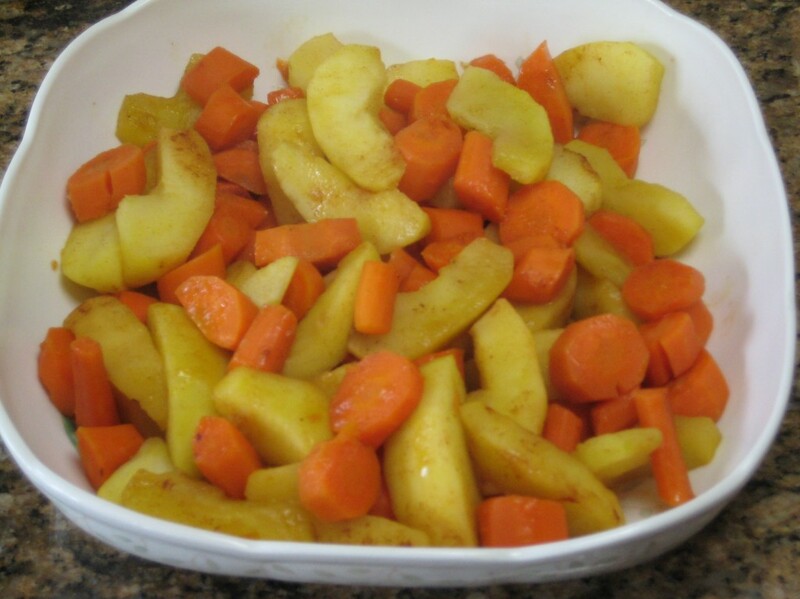 Serve your sweet and healthy side dish.